Recently, on a Saturday, we had 97 horse races in the UK and Ireland, overnight there was probably an equal number in Australia. Over the course of the year, it’s easy to clock up 10-20k races and roughly £10bn a year in betting turnover on racing alone. If we add in football and other sports and count all activity include pre-off and in-play you end up with a total of around £55bn a year in matched betting turnover on the Betfair exchange. Gambling is big business and surely ripe for a well-organised hedge fund managers to offer their services to the market? It could spring forth a whole new set of asset classes. Sports funds set up to attract hedge fund investment would allow them to employ high-quality quants and sports traders to participate in the things cricket matches, the premier league and other such events doing all the hard work for accredited investors, in return for a performance fee. It would appear to be a great idea! Where is the trading opportunity? Hedge funds work where there are scales of opportunity and economy of scale. In financial markets, you will find a hedge fund occupying most niches and each individual market is worth many billions or maybe trillions depending on how you count it. But of course, the sports wagering market is also worth billions, isn’t it? Yes and no is the clearly ambiguous answer. The betting market, like financial markets, is measured in billions. But underlying that is a fundamentally different market structure. In financial markets, you can find a company worth billions and then start buying some or all of it. If you hold that position then it’s, generally, accretive. It rises in value over time. Financial assets generate income which can be reinvested back into the business to grow it. This makes it more valuable and, keeping things simple, the market price should reflect that. Businesses have fixed assets, intangible assets on their balance sheets and a variety of things that they can invest in and generate income from. That income gets shared with stakeholders and people buy and sell the right to that assets on capital markets. Buyers and sellers compete with each other to get access to those returns on the stock market and everybody is happy, either with an income-based investment or some longer-term capital growth. If you look at sports and horse racing it’s a whole different kettle of fish. First off there is no concept or income from an investment, there is not dividend or fixed income. It’s all about the edge the hedge fund has in the market and you could create a demonstratble edge. But at that point scale becomes an issue. Yes, the volume is very high, roughly £10bn over the course of the year. But this is where we diverge dramatically. 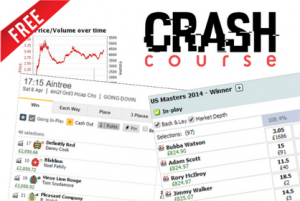 Betting exchanges are driven by events, the more events the more turnover. That £10bn is matched betting turnover is broken down into thousands of markets, roughly 20,000 markets overall. So the market your hedge fund is betting into is not actually measured in billions, it’s actually roughly £0.5m per market on racing. That’s £10bn divided by 20,000. The important thing to realise here is that this is matched bet volume. The way this is calculated is for a £10 back and a £10 lay bet creating £20 in matched bets. So, in reality, that number is actually halved again. So the average horse race could only soak up a maximum bet of £250,000. At that level, on average, you would be the entire market. It didn’t take me long to find an edge and start betting to it. It was successful enough that with three years of starting my bank had already grown beyond that of the average UK horse race. So I had no choice but to modify my stakes to stay with the liquidity of the market. If you “overstake” you accidentally influence the price against yourself and that kills your edge. So the game you have to play is to only stake within the general liquidity of the market and at such a level that you do not influence the odds and your edge. The practical upshot of this is that if you have an edge, you can replicate it thousands of times over and build your return on capital very quickly. If you had a bank of £10,000 and managed a 1% return on average on stakes of £1,000 you would end up with a £200,000 return after a year. There is really no need to go out and raise money or rely on external investment to fund your activity. If you do need to do this, just what return on your stake are you gettting? 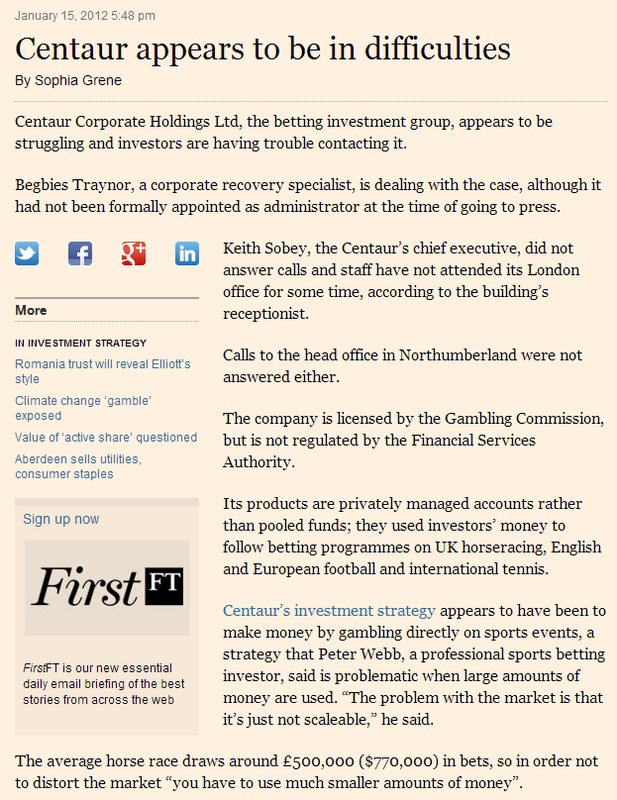 I don’t believe there is any justification for raising money to ‘invest’ in sports trading. Because the structure of sports betting allows you to ‘leverage’ your stake many times over. In the case of racing, 97 times in a day. If you staked just £1k per racing you would turnover £97,000. Any large number multplied by a small edge gets a large return. There are some substantial organisations out there that successfully do their stuff. I’ve dealt with most over the years in one form or another and that restricts what I can say about how they operate. But fundamentally there modus operandi is different to what you may consider ‘normal’. But more crucially, they absolutely don’t need to raise external finance to operate their businesses. They and I are hungry for more markets and more activity on those markets. Whether you want to believe the above or not, it is a stone cold fact and the market is very self-limiting for people with large banks. Way back at the start of Betfair I took one of their commercial guys for a tour around the City of London. It became apparent, even back then, that the markets were not up to institutional use. It was and has remained that way ever since. If the average race matched bets of £50m, then that may be a different case. But for one reason or another, it has never looked like it would reach that level. There wasn’t a great deal of interest from the hedge fund industry. That was actually quite reassuring, as it remains firmly planted in the individual and hobbyist level. People will small banks can still do a great job in the market. People with large banks, less so. 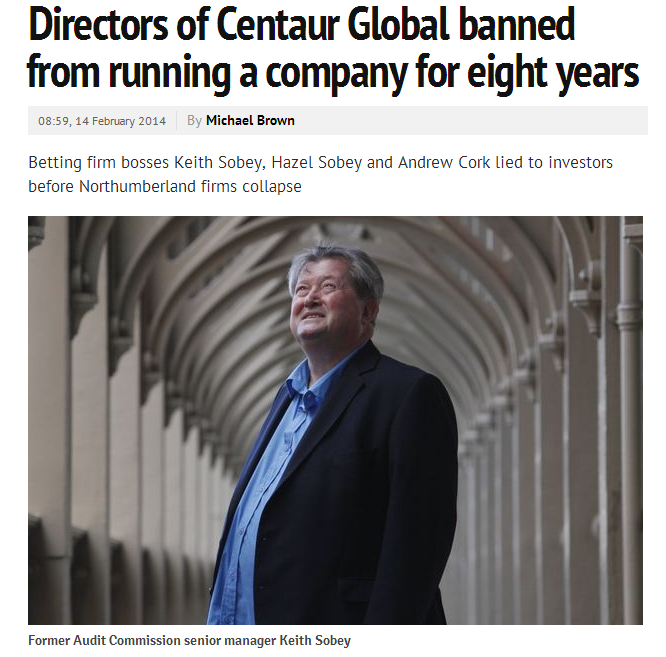 Centaur was set up as a next-generation sports trading firm. The intention was to raise money and investing that money in sports betting and sports trading market. Things turned out very differently and inevitably they collapsed into administration owing many millions to “investors”. There are many sad aspects to the story. It’s not just a question of the money that was lost by people investing in a company that they thought would deploy that capital successfully but it was more that the image the industry was pushed even lower. The whole state of affairs was so bad that the directors were banned from being company directors. But the irony is that the people whom held posts at Centaur are still in the industry and more or less doing the same thing! That’s pretty amazing. I contacted several journalists to warn of the potential problems and the reasons why it made no sense, but apart from a small piece on the FT, my words fell on deaf ears. It seems that punters chasing cash or something too good to be true, will always do that and desire to grab a fast buck means they will never do any due diligence in terms of reliability or the credibility of the people behind some of these crazy schemes, advice or products. Yet the fact remains that betting exchanges has given the ability to create the perfect audit trail and proof of ability. If you are good, it’s there in black and white. Individuals, companies, systems, strategies all come and go and it seems no sooner than one company disappears with investors money than another one springs up right behind it. I was given a presentation by a potential investor in a company a few years ago, that claimed to have groundbreaking technology in this industry that it was going to use to exploit the markets. I managed to convince the investor not to get involved and he recently compared notes with me on the most recent set of accounts that this company had published. It showed in two years they managed to lose £6 million, but of course, this is all investment for the future! I am pretty sure this company will not end up actively trading the market or creating an edge, it will probably end up providing services for others who wish to do so. That’s what usually happens! They won’t be the first and it won’t be the last. 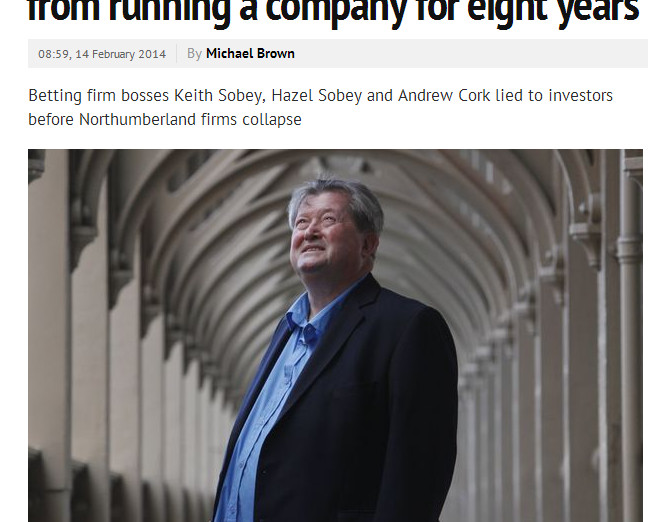 I don’t think that £6m is going to be returned to seed investors who were sold the original story. 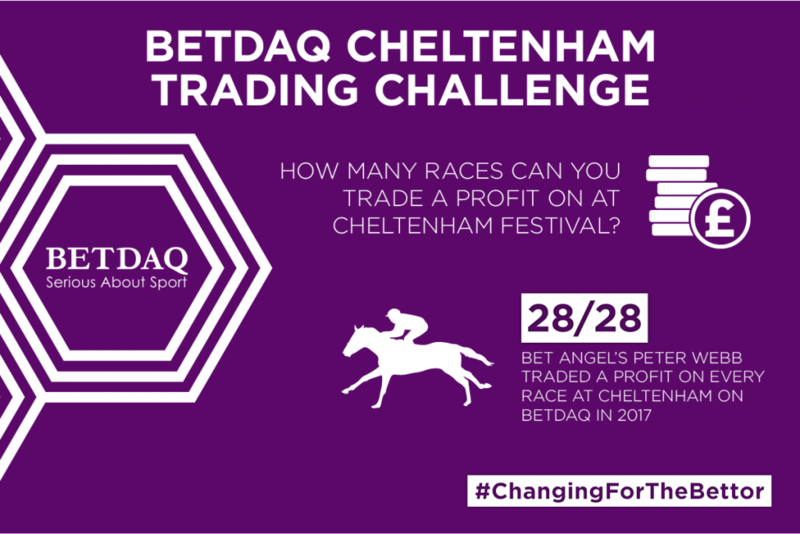 As BETDAQ showed, when they highlighted the fact that I won on all 28 races at Cheltenham 2017, outstanding achievements can be proved and verified on an exchange, but it seems that very few people consider that important when investing or buying advice. Nobody ever seems to consider asking for any track record. But when making claims or trying to raise funds a track record should really be mandatory, because the structure of the industry and the way that the markets work mean that if you have a net positive strategy, you’ll never need the money anyway! If you have a positive strategy the sheer number of markets and way they work mean that even with a tiny bank you can achieve spectacular returns. Given my track record, I could raise many many millions to set up a fund, but I haven’t. Why, because I don’t need the money. I can work with a much small bank and so can you. Giving your money to somebody else won’t work. And that is the critical flaw when people set up companies to try and exploit this market, if you need to raise funds then you can’t have an edge. That is why should it ignore all offers to trade on your behalf.